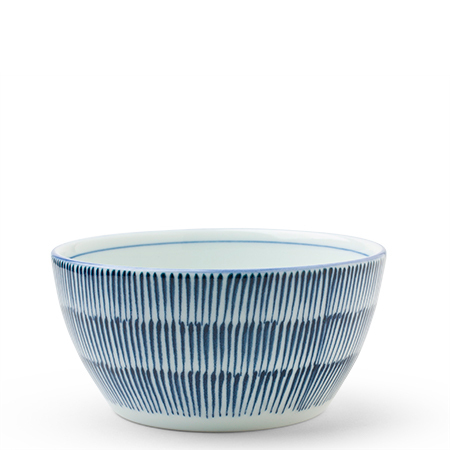 Hoso Tokusa Blue and White 4.25" Bowl made in Japan available at Miya. The Hoso Tokusa Collection is a popular one because of the design, the shapes and the overall usability. This Hoso Tokusa Bowl is light in weight and practical for everyday use.